Unless you’re a football fan, the summer is a fantastic time for sports. While the football season has wound down for a few months, fans of other sports are enjoying the sun while watching their favourite sports and even placing a few bets. If you’re a betting enthusiast that primarily bets on football, then you’re missing out on some exciting summer sports where you have the potential to make a few more quid. Cricket is probably the first thought of many people when it comes to summer sports. Although the cricket ‘season’ starts at in March, it isn’t until the summer where the majority of games are played. Throughout the summer of 2017, there are numerous competitions and large matches for you to place some bets. In England, fans can look forward to the NatWest t20 Blast. With multiple games a day on almost every day, betting fans can look forward to placing plenty of bets. If 20:20 cricket isn’t your ideal form of cricket, the County Championship is still ongoing throughout the summer for test match betting enthusiasts. If that still isn’t enough cricket for you, the Women’s World Cup is still ongoing for the rest of July. In other summers, cricket fans also have the joys of the Ashes, the ICC Champions Trophy, and even the ICC Cricket World Cup! Being physically active throughout life is important in maintaining your overall health, especially as we get older. Taking up a sport and staying fit reduces your risk of both heart disease and diabetes, can help keep your weight under control, strengthen your bones and been known to have a positive effect on mental health across all ages. Keeping active is an easy way to alleviate mental health issues such as anxiety, depression and stress. Sports like Tennis increase positive mood enhancers in the brain and have been known to reduce feelings of physical and mental fatigue. Not only does this positively change your body, but can also help you feel less lethargic and low in life. 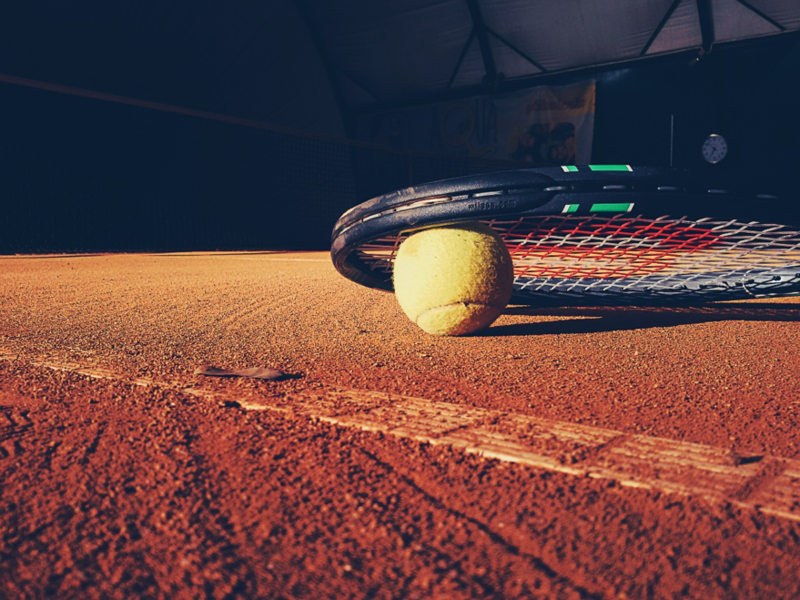 Of course, tennis is a difficult sport to play alone, so the social aspect of tennis can also help you socialize with new people and make friends, which can be uplifting. Even at amateur level, tennis is a fast spaced sport, requiring plenty of snap decisions, quick movements and lighting fast reflexes. At all times, you need to consider your body movements, the direction of the ball and even your opponent’s movements. If this is kept up regularly, it will help keep you sharp throughout the years and help you make quicker, snappier decisions under pressure. Although the general vibe at a pro tennis match often seems rather relaxed in comparison to say a football or rugby game, the speed, power and intensity required to play is often underappreciated. The average serve speed for pro tennis players is around the 140mphmark, and even at lower tier levels, the power and speed required is still intense. This helps build strength, overall muscular development and join strength, without having to resort to things like dumbbells or free weights if that’s not your scene! If you’re looking for an easy sport to take part in to get fit, healthy and active, tennis is perfect with hundreds of clubs across the UK, and millions of players of all levels across the globe. Home to one of the greatest tennis grand slams of the season, Wimbledon has provided us with its fair share of sporting entertainment. The highly anticipated tournament is eagerly awaited by participants and fans every year, as they follow and play their way through the beginning of the season. Arguably, over the years Wimbledon has come to represent not only tennis but all that is considered to be quintessentially English. 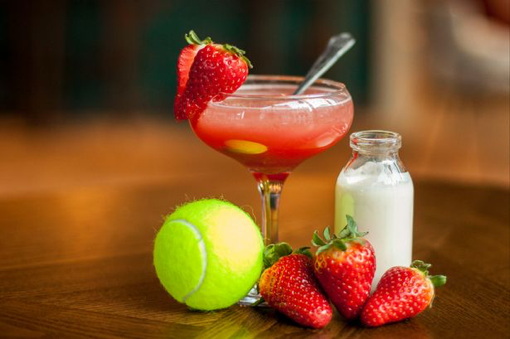 A firm fixture in the summer sporting calendar, Wimbledon delivers high class tennis and is symbolised by English strawberries, cream, Champagne and Pimms. The Championships are responsible for showcasing the highest levels of tennis on grass courts, played over two weeks during midsummer. As an event, Wimbledon has set records you wouldn’t believe, not only in tennis but also in other aspects. With the 2017 Championships fast approaching let’s take a look at some of the records that have been set over the years. 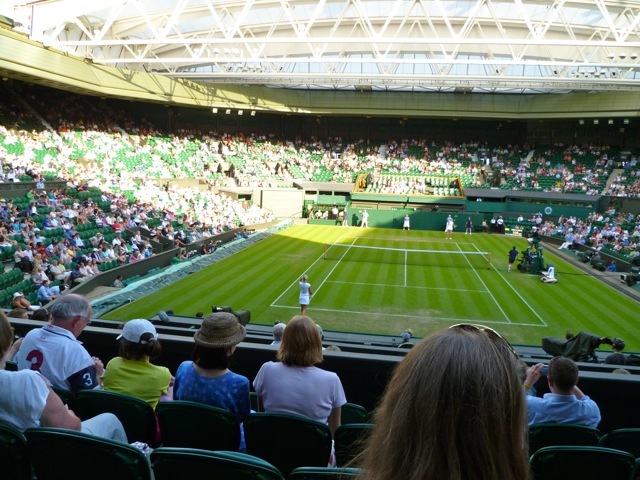 Wimbledon is easily the largest catering operation at a sporting event within Europe. Taken from the 2016 championships, these figures relate to the total consumption of food and drink at Wimbledon – the figures are simply astonishing. The numbers include food and drink consumed on site only, they don’t include food and drink that is included in off-site Wimbledon hospitality. Last year 177,135 glasses of Pimm’s were served, to quench the thirst of visitors and spectators, 139,435 portions of strawberries were dished up for fans to enjoy, 133,800 traditional English scones were served and a whopping 2772 kilos of bananas were provided for players in the competition. Strawberries at Wimbledon are so iconic that nothing other than the best will do. Provided the crop is plentiful, Grade 1 Kent Strawberries are considered to be of the finest quality and are specifically chosen for the championships. In order to make sure that the strawberries are as fresh as possible they are picked the day before they are served to consumers, and arrive at the gates of Wimbledon at 5.30am! The Longest ever match at Wimbledon went on for an astonishing eleven hours and five minutes, over three days, and consisted of 183 games. 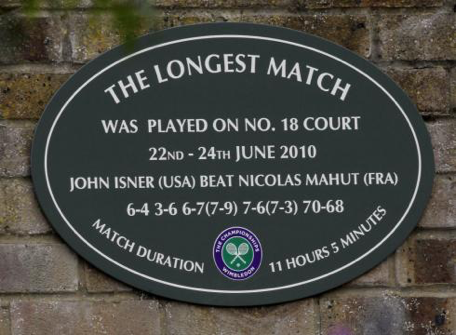 It was late in the day on Tuesday 22nd June 2010, when American John Isner and Frenchman Nicolas Mahut strolled out onto court number 18 to begin what was to be the ultimate tennis match. The match was unremarkable to begin with, with Isner winning the first set followed by Mahut winning the next two. The fourth set was won by Isner then at 9.07pm the match was suspended until the following day. The following afternoon the fifth and final set began with both players determined to move through to the next round. Anticipation grew as it became clear neither one of the rivals was willing to lose the set. Points were scored one after the other without any hesitation from either player. At 5.45 pm the match officially became the longest in history, but it wasn’t over yet. At 9.09 pm the match was suspended for a second time, with the score of the fifth set reaching an astonishing 59-59. The following day play resumed and finally ended with Isner winning 70-68. Unsurprisingly, due to the length of the match more than one record was broken. John Isner etched his name in history again, having served a massive 113 aces, during the game. Obviously there is no such thing as a sure bet, but it is possible to predict quite easily who may win some tennis matches. For example, the Wimbledon final this year was between Andy Murray, a past champion who was playing in his third Wimbledon final and had the home crowd advantage and Raonic who had never even reached a semi-final at Wimbledon before, was ranked lower and had been beaten by Murray on grass at a final a few weeks before. This means that betting on Murray would be what most people would do if they were betting on the outcome of that match. However, to get a better return on your bet, you can place a bet at the beginning of the championships. It is then far harder to know who might win. You would probably have been tempted, before Wimbledon started to bet on Djokovic who was the number one in the world and had a great record, but he got knocked out in one of the early rounds, something no one predicted. Therefore meaning that it was far harder before the contest to predict the winner, than it was to predict the winner of each match. 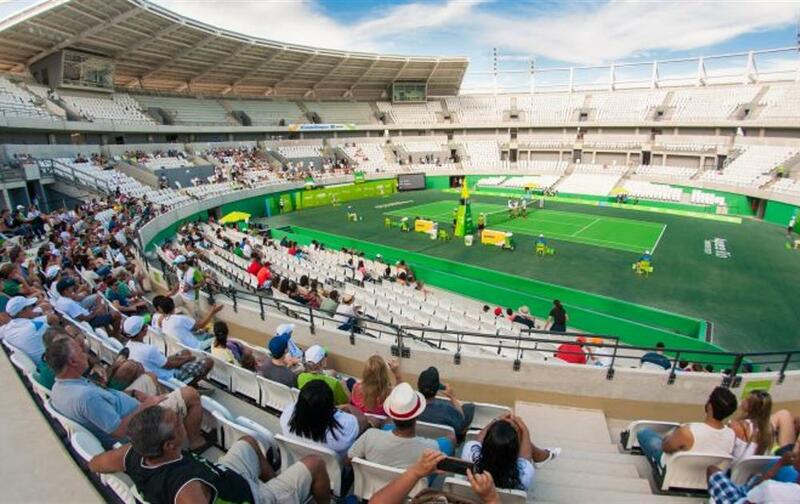 The next big tennis contests coming up are the US Open and the Olympics in Rio, both taking place this summer. Many people will be wanting to place a bet on these events. The Olympics is probably easier to predict than the US Open for a number of reasons. In the Olympics countries can only send two male and two female players which means that there will be less people taking part. There have also been several players dropping out due to the Zika virus risks which means that there are even less players to choose from. Anyone wanting to place a bet will need to wait until the final player list has been confirmed as some countries are still planning their teams. Placing a bet is so easy, even if you have not placed a bet before. There are many online places where you can do this such as m88 sport. You just have to register and then you can put some money into your account and use it to place bets. 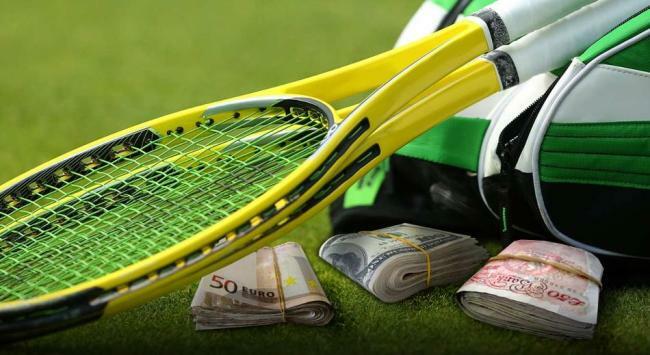 You can choose whether to bet early and choose who you think may win the Olympic tennis before the contest starts or wait to see the draw and find out who plays who or you may decide to place a bet on specific matches where you think that you will be more easily able to predict the outcome. It all depends on how much risk you are willing to take as if a match is easy to predict, then the odds will be set so that you do not get a good return on your bet, but if it is harder to predict you are likely to get more money if you win. This means that the higher the risk you are willing to take when you bet, the higher the return that you are likely to get on your bet. 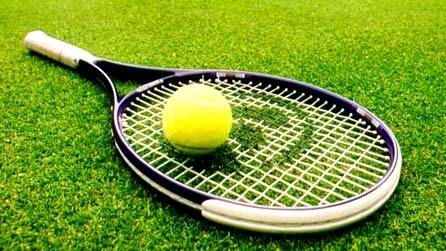 Looking for a hot tennis tournament to check out? Look no further than the Barcelona Open Banc Sabadell, a Spanish treat for tennis lovers everywhere. 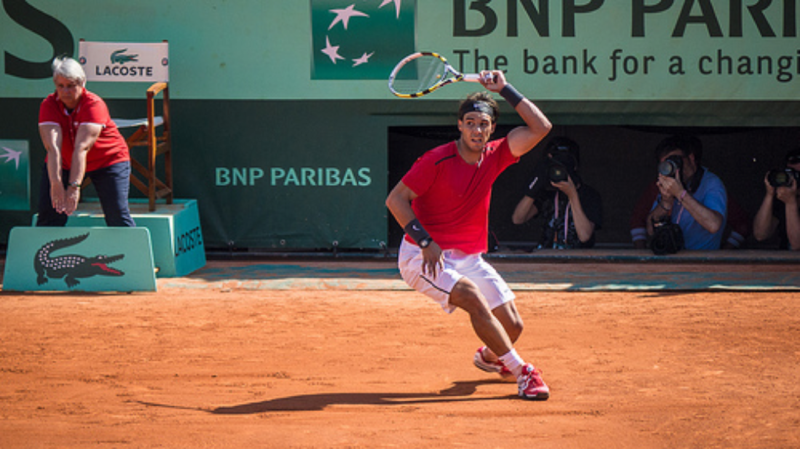 You’ll find that this is a great tournament for tennis bets because of the level of action. Everyone is going to have their eyes on Kei Nishikori, the two-time winner of the Barcelona Open. Plenty has been written about Nishikori, an amazing player with a strong command of the court. He even went to have a little tennis-flavored fun…on a cruise ship! 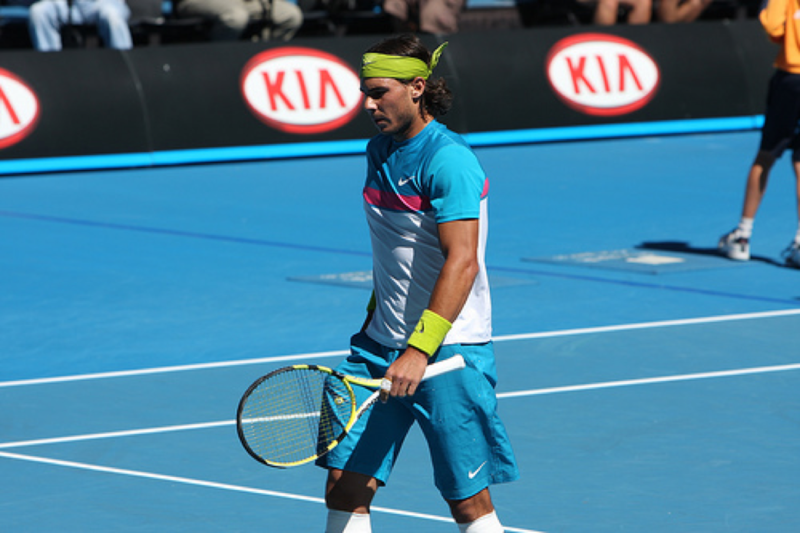 The playfulness will fade away on 18 April, when he and other players step onto the court for the Open. Should you bet on the returning champion, or look at some of the other players? Nishikori beat Santiago Giraldo, so it’s very possible that Giraldo will return to try to wrestle the title away. 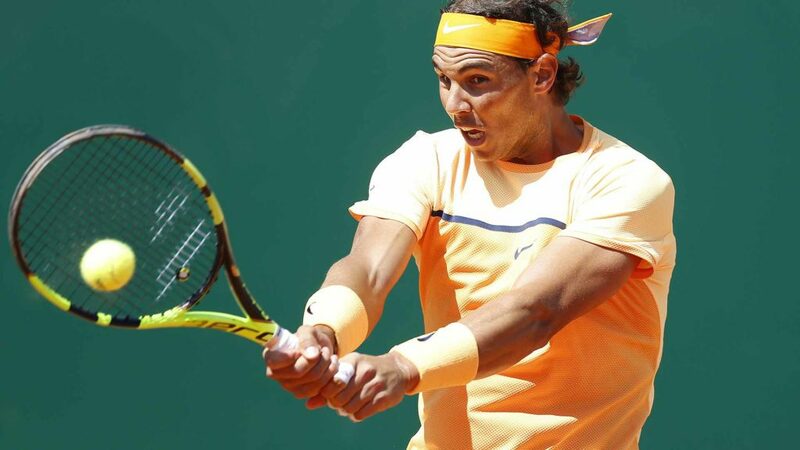 And then you have Rafael Nadal, who is currently in Monte Carlo battling it out in the quarter-finals. To think that these players basically go from tournament to tournament is pretty incredible. It’s up to you to decide who you want to place money on to win, and how specific you want to get with your betting. Do you want to see a certain number of sets taken, or just an overall win? The more technical your bet, the better the odds are in your favor. On the other hand, if you’re just throwing out a few casual bets, you can keep it pretty vague. The level of technicality, naturally, is always up to you. We like to do a more streamlined bet where we look at the past performance of our favorite players, checking to see their average number of sets claimed. As you dig deeper into a player’s performance, you’ll actually see quite a bit of interesting data. You’ll see patterns emerge, such as how well a player handles a grass court compared to a clay court, or if they seem to fare well on all surfaces. Other players tend to only do well on hard courts, which makes it interesting when they have to play on the grass. 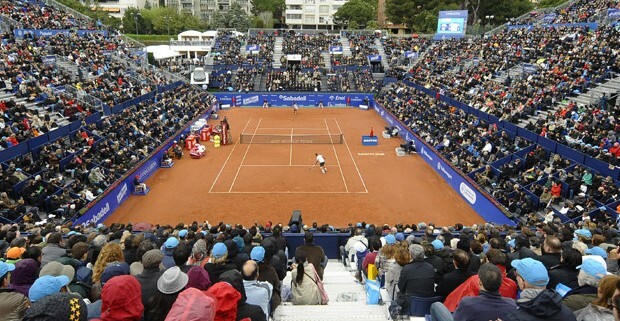 The venue is Real Club de Tenis Barcelona, which sports a clay court for the tournament. It will be interesting to see who comes out on top, especially with an estimated 19 matches going on from the 18th to the 24th. Say what you will about tennis — aside from thrown rackets, fights with refs and other drama-licious meltdowns, there’s plenty of athleticism to be had. Between Novak Djokovic and Serena Williams both tearing up the court at Wimbledon to the continued speculation about the all-encompassing “calendar slam”, the heat in tennis has definitely been turned up a few notches. If you’re looking at what to watch right now, it would definitely have to be tennis. There’s no reason to skip over tennis or treat it like the redheaded stepchild in the room. Just watching a few clips of Djokovic prowl the court like a lion proved that correct. Watching Serena makes us realize how far tennis has come. Serena is considered an older player, but one that is still on top of her game — with the shiny new Wimbledon trophy as proof, though certainly far from her first win. The chase for the calendar slam brings up other conversations: of athleticism, of endurance, and longevity. Tennis is a difficult sport to stay on top of even in the best circumstances. There are plenty of twists and turns, and you’re playing in often super humid and warm conditions. It can be tiring to run around the court constantly being on edge for the next serve. And yet, the stars of tennis do exactly that for our amusement, and their love of the game. The prize money never hurts anything either. 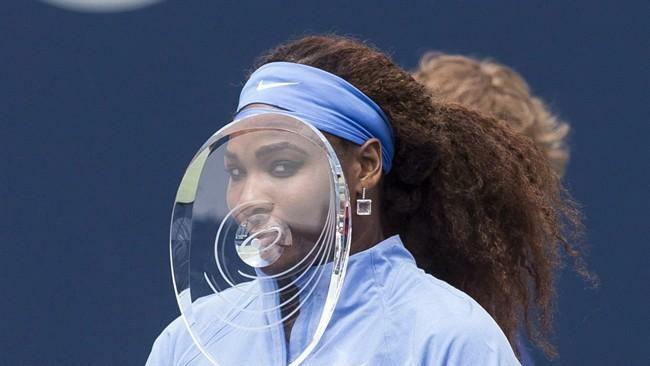 Many are asking whether or not Serena has what it takes to go into the US Open and take the top spot. The field is filled with players that are not only hungry to win, but partially hungry to also take away the win from Serena. Itís a competition, after all, and Williams isn’t entitled to win simply because of who she is. If she wants to win the US Open, she’s going to have to play as hard as she can. This is a fact that Williams knows going in. When you’re on top, it goes without saying that there’s a target on your back. This type of highs and lows is exactly why we watch tennis, and we hope that you’ll follow our commentary as the US Open unfolds. Britain number one Andy Murray eased through to the third round of the 2015 Wimbledon men’s singles championship as he earned a 6-1 6-1 6-4 victory over Dutch tennis star Robin Haase. Murray, who lifted the trophy back in 2013, has his eyes set on glory this year after a difficult spell with numerous injury problems and will be well supported throughout the entirety of the two-week tournament. If he is to reach the final, the 28-year-old must overcome some very talented players after he was handed a nightmare draw. In fact, if results go completely against the Scot, he could face Jo-Wilfried Tsonga in the last-16 before a semi-final encounter with Wimbledon legend Roger Federer. If Murray is going to lift the men’s singles championship on 12th July, he is going to have to do it the hard way and may face close rival and world number one Novak Djokovic in the final. Murray has been in exceptional form since the turn of the year and has looked full of confidence in his opening two matches at Wimbledon so far. Earlier in the season, Murray was beaten by Djokovic in the Australian Open final but gave an excellent account of himself on the Serbian’s favoured hard court surface. Since then, he has won three tournaments – the Bavarian International Tennis Championships, the Miami Masters and the Queen’s Club Championships – and is one of the leading candidates to achieve success at Wimbledon. It could be argued that Murray is in the form of his life and, on current form, it would be difficult to back against the British number one as he chases down a third Grand Slam title. Throughout the course of the year, Murray has won 42 matches and lost just six – helping him to climb back up to number three in the world rankings. The Scot is certainly receiving plenty of support from the public this week and British fans will be hoping that this can spur Murray on throughout the competition. Good luck to @andy_murray today at Wimbledon! Let's hope he can win his third Slam. In his opening match of his home event, Murray was paired against Kazakhstan’s Mikhail Kukushkin. Murray disposed of the world number 59 with relative ease as he claimed a 6-4 7-6 6-4 victory in straight sets to reach the second round. Although there were a few hairy moments, the Scot played a number of breathtaking shots to send a timely reminder to the likes of Tsonga and Federer. In his second match, Murray was unplayable and dominated all three sets against Haase to claim victory in just 87 minutes. The British number one put on a brilliant show for the fans as he made a huge statement of intent ahead of his third round fixture – which will be against either Croatia’s Borna Coric or number 25 seed Andreas Seppi of Italy. Some of the key statistics from Murray’s opening round clash with Kukushkin can be seen below. However, world number one Djokovic remains a formidable figure and the Serbian will be extremely confident of claiming his second Grand Slam title of the year. Djokovic, who beat Roger Federer in a five set thriller in last year’s final, is looking to cement his place as one of tennis’ greatest ever players and is looking for his ninth major championship title. He is coached by the legendary Boris Becker and has been outstanding since teaming up with the German back in 2013. This season, Djokovic has won 43 matches and has lost just three – with one of those defeats crucially coming in the French Open semi-final to dash any dreams of a calendar year Grand Slam. As always, the Serbian – who hasn’t been knocked out of a Grand Slam tournament before the quarter-finals since 2009 – will be looking forward to the business end of the competition and could face Stanislas Wawrinka in the last four. The Polish star beat Djokovic to the French Open title last month and there is no doubt that the world number one will be looking for revenge if they clash once again. So far, the world number one has breezed past his opponents with ease and is yet to face a serious challenge. In his first round match with Germany’s Philipp Kohlschreiber, Djokovic claimed a 6-4 6-4 6-4 victory in a relatively straightforward contest. The German, who was ranked as highly as 16th in the world back in 2012, struggled to perform at his best and made a number of unforced errors as the Serbian dominated proceedings. Many had suggested that the 31-year-old, who is the last tennis player to knock Djokovic out of a Grand Slam tournament prior to the quarter-finals, could cause the world number one problems but the defending champion was good enough to get the job done and advance to the second round. In the second round, Djokovic made light work of Jarkko Nieminen as he earned a 6-4 6-2 6-3 victory in just 91 minutes – four slower than Murray’s victory over Haase. 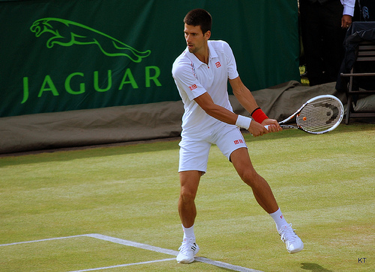 The Serbian has a brilliant record at Wimbledon and has won 45 of his 53 matches at the iconic grass court venue. He has reached the semi-finals in each of the past five years and has gone on to lift the trophy twice – once in 2011 and then again last year. Meanwhile, he has a staggering 85% win ratio at Wimbledon and the world number one has always insisted that it is one of his favourite competitions on the calendar. His aggressive style suits the grass court and his incredible ability to return excellent serves means that he very rarely concedes aces to opponents. Many people will be backing Djokovic to go on and win his ninth Grand Slam title on 12th July and, at the time of writing, betfair are pricing the world number one at 6/5 to lift the Wimbledon trophy this summer. It wouldn’t be a huge surprise to see the Serbian compete in yet another Grand Slam final and, if he’s matched up with Andy Murray, the two players are sure to put on a great show for the fans. Here is a repeat of their recent encounter in the Australian Open final earlier this year. Concurrently, the British number one also has a fantastic record at Wimbledon and is more than capable of beating the best players in the world on the grass court. 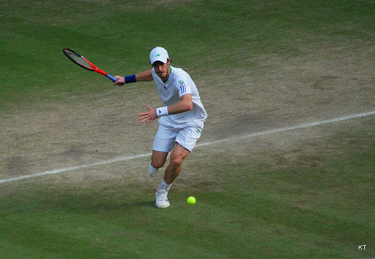 Murray has a very similar record to Djokovic at the venue and has won 41 of his 49 matches in the competition throughout his career – earning an impressive win ratio of 84%. The Scot has reached the quarter-finals in each of the last seven years and has performed admirably at other Grand Slam events throughout the same time period. On current form, he is capable of beating any player on the planet and the likes of Tsonga and Federer will be worried after his demolition of Haase. Although the Dutchman made 24 unforced errors, Murray also hit plenty of winners as the confidence began to flow. It wouldn’t be a huge surprise to see him compete in Centre Court’s showpiece event for the third time in four seasons and hopefully, for British supporters anyway, he can go all the way and win his second Wimbledon title. Tennis is a psychological sport and Murray will need to be completely focussed if he is to claim his second Wimbledon title this summer. Over the course of the season so far, the Scot has lost four times to Djokovic at either the semi-final or final stage of a competition – giving the world number one a huge psychological edge over Murray. If Murray reaches the final but then allows this statistic to play on his mind, he may struggle to compete against the Serbian star. However, the British number one is tenacious and is made of stern stuff. He appears to be level headed and can control his emotions throughout matches. Furthermore, although Murray holds a dismal record against the world number one, he is yet to lose to Djokovic on a grass court. The Scot earned a thrilling win against the Serbian at the Olympics in 2012 before claiming the Wimbledon title against the Serbian just 12 months on. Another key factor for Murray will be the home support and the huge boost that the supporters provide when he is struggling. The Wimbledon crowd have always supported British competitors, from the days of Sue Barker and Tim Henman to today’s era with Murray and Heather Watson, supporters have always provided great encouragement at the venue. Tennis legends such as Federer and Rafael Nadal will always have impressive followings at any Grand Slam event but the Wimbledon crowd tend to remain loyal towards any British competitors throughout the tournament. After Murray’s victory back in 2013, the Scot praised the crowd for their role throughout the competition and admitted that he couldn’t have lifted the trophy if it wasn’t for their continued support. It would be foolish to dismiss Federer’s chances of claiming a phenomenal eighth Wimbledon crown this summer. The Swiss athlete, who is regarded as one of the greatest tennis players of all-time, reached the final of the grass court event last year but will be looking to go one better and further stake his claim as the best to ever grace the court. The 33-year-old hasn’t won a Grand Slam title since victory at Wimbledon back in 2012 but it wouldn’t be a huge surprise to see the veteran raise his performance level for one last push at the crown. Federer, who could play Murray in the semi-finals, failed to reach the last four of both the Australian Open and French Open earlier this season and this could be his last realistic chance of success at the iconic grass court event that has been so good to him over the years. The supporters certainly believe that Federer can still challenge for the crown this year. In 2015, Federer has already won a number of tournaments and has emerged victorious in 36 of his 42 matches. He opened the calendar year with a triumph in the Brisbane International event before beating Djokovic in the final of the Dubai Tennis Championships. The Swiss star also claimed victory in the Istanbul Open on the clay surface before the 33-year-old earned a win in the Halle Open – the last grass court event that Federer entered before the start of Wimbledon. This achievement may have provided the seven-time Wimbledon men’s singles champion with the motivation and confidence he needed to push for one last moment of glory on Centre Court. It will be by no means easy for Federer to reach the final but he is more than capable of producing a world-class performance to beat any of the sport’s elite competitors. If the draw goes as expected, Murray will face world number one Djokovic in the Wimbledon men’s singles final on 12th July. On current form, it’s difficult to split the two players as they have both played some scintillating tennis throughout 2015. 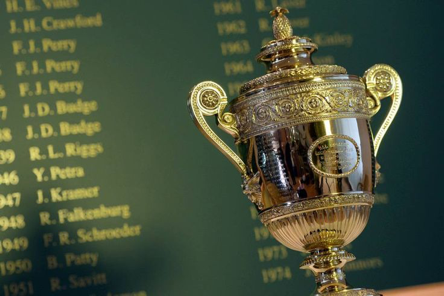 However, if the Scot can cope with the psychological side of the rivalry, Murray will stand a great chance of lifting the Wimbledon trophy for the second time and earning a third Grand Slam triumph. The Serbian is a phenomenal player but, in front of his home crowd, Murray could edge it in a match that could go the full five sets.